At this year's first press conference from the International Cinematographers' Film Festival "Manaki Brothers", the festival director Gena Teodosievska informed the attendees of the grand accolade given to the festival – The Cristal Eye of IMAGO, an award given to the festival by the International Cinematographers' Association – IMAGO, for extraordinary contribution to promotion of film art. "The significance of the awards of IMAGO is confirmed by the fact that following their presenting in Belgrade last week, around 120 articles in influential daily newspapers in Europe, USA and Canada, more than 12.000 Facebook posts and 7.000 Instagram pictures were posted so far, only this past week. The presidents of every country's National section are sharing the awards of their colleagues along with their views on the event this week. This award is yet another big and international accolade to the pioneer work of Janaki and Milton Manaki, affirmation to the efforts of all the people who kick-started this festival 40 years ago, a group of brave film authors and film art lovers, people with a vision. Those people are rare even nowadays. This award is also proof that those who followed the path of the founders and built in the contemporary form of presenting the film art didn't lose time, their engagement can be seen on every new edition of the festival. We continue their dream and join in ours. The first application of the Macedonian cinematographers for membership in IMAGO was sent in 1996, thanks to the acting director of the Film Agency – Gorjan Tozija, and the director of the Cinematheque of Macedonia at the time – Vesna Maslovaric, and the Macedonian cinematographers at members of this significant association since then", Teodosievska said. The awards ceremony of IMAGO was held on 17 March at the Yugoslav Cinematheque in Belgrade. This was the second ceremony of the sort, following the first one held in Helsinki, Finland. The IMAGO awards are presented biennially, always in different countries. "Along with Blagoja Kunovski, we were part of an event of great significance for the festival. The awards was given to us by our longtime friend, the honorary president of IMAGO – Nigel Walters, who spoke of the festival with great love. We were right next to masters of the film profession and art. Oscar-winners and Oscar-nominees, and also among the film workers and authors who never expect awards, they only do what they do best with unreserved devotion, and IMAGO knows how to recognize that. That is how we do it as well, we try and quite often recognize the ones who we need to reward. That is why IMAGO also recognized that in ICFF "Manaki Brothers". IMAGO consists of more than 50 national associations from all the continents and has more than 4000 active members. The national section of cinematographers at the MFWA is our member at IMAGO", Teodosievska said. Among the award-recipients also were David Stump, cinematographer and stereographer, also known as Special Effects Supervisor, Kommer Kleijn, Belgian cinematographer, pioneer in creating digital picture in film and the first person who dared to make a film in more than 4K in 1996, the charismatic Ed Lachman, cinematographer, the Oscar-nominee for the film Mudbound - Rachel Morrison, the first female cinematographer to ever be nominated in this category during the 9-decade running of these awards. Four special awards and nominations in five categories were given out and one award for best camerawork in a feature film to the "Manaki Brothers" laureate – Roger Deakins. Blagoja Kunovski – Dore, the artistic director of the festival, pointed out that this award belongs to our festival, especially in the circle of the most significant artists in the area of film, as a film cannot be made with no cinematographers. "This award will become even more important in the years to come and will probably fix the mistakes or bloopers of the American Academy, which considers that cinematographers are people who work in the background. The IMAGO award is not only given out by people as most professional and most competent in terms of their colleagues, knowing the specifics and the weight the art of the cinematographers carries, moreover each one of them having the weight of a laureate and is aware that he receives an Oscar from his/her colleagues. This Crystal Eye is more valuable to me than the Oscars when the valuation of the art of cinematographers is at hand. This award is an accolade for us as a festival and a triumph for all the generations more than an Oscar because IMAGO is an exceptionally important association", Kunovski said. Through the MEDIA Desk in this country, from this year the "Manaki Brothers" collaborates with two European festivals – the Festival of short and animated film in Barcelona and the program with a few children's films from the festival in Copenhagen. Macedonian films and authors are chosen in the pre-program of the Short Waves Festival in Poznan, Poland. This month, there, at the Macedonian night at Random House Cinema, five short films were screened to the mostly student audience, the films selected by Slagjan Penev and Marija Apchevska being: "Raspberry" by Anastasija Lazarovska, "The Circular Journey of the Monk" by Zharko Ivanov, "The Award" by Lidija Mojsovska, "They Come from the Center of the World" by Dina Duma and "The Man with a Strange Habit to Hit Me with an Umbrella to the Head" by Vardan Tozija. 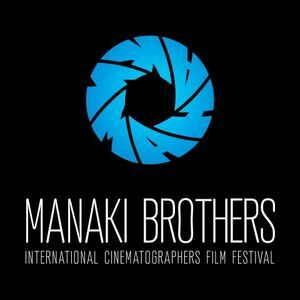 The International Cinematographers' Film Festival "Manaki Brothers" is preparing its 40th jubilee edition, which will be different and richer in programs. It will be held from 14-21 September, being moved a week earlier so it doesn't collide with other European festivals. Hence, a larger number of European film critics will be able to visit it. "Aside the 14 sections, we will also have something new. We will try to remind our audience a little more of the best Macedonian, but also European films which may have been missed out at the time. We will also try to open up two new projection spaces, which will depend on the finances we receive, and to bring the best possible program quite economically and sparingly", the festival director Gena Teodosievska said.